Some power usage is being directed toward underutilized hardware, which is costing the organization too much to maintain. Many centers make the mistake of inefficiently deploying applications across their servers. Devoting one server per application will help it perform under optimal conditions, however, it will also cost a lot of money and the devices will take up rack space in the process. Virtualization will cut down on underutilization and allow the center to turn off idle equipment, saving money that can be devoted to other processes. "People put applications on too much hardware because they don't understand the operational characteristics of the workloads or the hardware and want to leave some headroom," Forbes contributor Dan Woods wrote. "Of course, later on, when the application is understood, the headroom isn't removed, leaving a layer of fat in the data center." Temperature monitoring is crucial to data center performance and energy usage. Experts have allowed up to 80 degrees Fahrenheit for the maximum recommended temperature, however, many centers tend to stay around 75 degrees. While cooling solutions can better control the environment, using outside air may help take some of the load off of these systems and keep servers active. Biztech Magazine warns against this practice, however, due to humidity, pollution and poor air quality potentially causing problems with the sensitive computing equipment. 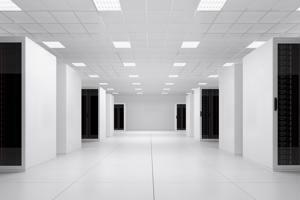 Data center operators must be able to ensure that they have appropriate methods to provide optimal conditions for the servers. Environmental control systems will help the facilities regulate the temperatures and monitor favorable humidity levels. While it may seem old fashioned, forming a strategy for making data center processes more energy efficient and prioritizing actions will help centers successfully deploy their plan. Through this, employees can note what equipment is being underutilized, consider consolidation options, examine cooling practices and more while forming a cohesive layout to begin implementing changes, according to Buildings contributor Chris Loeffler. Including energy audits as part of the approach will help organizations determine the effectiveness of their efforts and work toward increasing their overall benefits. "The good news is that even a small data center can save tens of thousands of dollars simply through wise choices in management practices, IT hardware, power and cooling infrastructure," Loeffler wrote. "For example, the three-year utility savings from an energy-efficient server can nearly equal the cost of the server itself." Observing data center best practices will help organizations use power more effectively. This will generate significant cost savings and promote an overall more successful facility. Data centers will be able to better meet computing demands while also complying with new energy regulations.